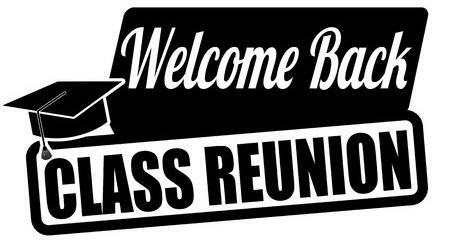 Class reunions are one of those events that seem like they were invented to make people feel awkward. Sure, it’s great to reconnect with those you lost touch with, but it can also be quite uncomfortable attempting to make small talk with people that you haven’t seen in years. So, how do you cut the tension and make everyone feel more at ease? You hire the right entertainment! Booking the perfect entertainment for a class reunion can really help make guests feel more comfortable as they ease into the party. A live band can be a great ice breaker or conversation starter for people that can’t quite find the right way to bond with once-friends turned strangers. Live music, especially if it is from the era of your particular class reunion, is perfect for stifling tension and getting guests to interact with each other. We all know that any successful party has to have good music! Selecting the right live band for a reunion is extremely important because this will set the tone of the night and the energy in the room. You want your fellow classmates to hit the dance floor, not stand on the sidelines. The perfect live band will make sure that the dance floor is packed and there are no wallflowers. If you are planning a decade specific event, you can make that request. For example, hits from the 60s, 70s, 80s, 90s, etc in ordert o hear the music reminiscent of popular bands from that era. Your classmates will enjoy the “blast from the past” and fond school day memories will come floating back to them. Last but certainly not least, hiring a photographer for the event is always a good idea. With an event photographer present you don’t have to worry about someone not being in the picture. Professional photographers know how to make things look picture perfect, so you can worry a little less about any awful pictures being mobile uploaded to Facebook. The band can coordinate getting you a good photographer. Contact the band for further planning.